There is a distinct difference between pallet and skid though you may have seen people overlooking that distinction. Generally speaking, the words pallet and skid are used to refer to a platform that supports goods in a stable manner while they are being loaded or transported through a jack or a forklift. It is a flat surface that increases handling and storage efficiency. You must have seen goods and even shipping containers being kept on these wooden surfaces if you have ever been to a dock. The goods are often secured with strings when kept on these pallets. Though people use the words pallet and skid interchangeably, there are differences between the two that will be discussed in this article. A skid is a single deck loading platform. It does not have a bottom deck. People related to the transportation industry refer to them as low profile mobile platforms. This lack of a bottom deck can be a problem for transporting heavy items. Wooden skids sometimes are also called platforms. Skids are often used as a permanent foundation for heavy machinery as they have the advantage of being mobile. They are not permanent in nature. Skids can be used as a cheap version of pallets when there is a need to transport machinery and equipment from a manufacturer. As the history say, skids were used in the World War 2 to haul large amounts of supplies. This was possible because as skids do not have a bottom deck, they could be easily pulled through sand. Since the introduction of double faced pallet in 1930’s, the demand for skids has gone down. 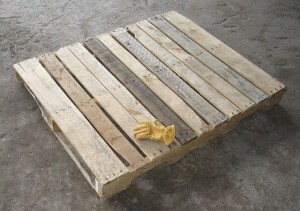 A pallet, unlike a skid, has both a top and bottom deck. This gives it more stability than skid. Though most pallets are wooden, they are also being made with plastic and even metal. There are pros and cons of every material used for the construction of pallets. For example, when it comes to safety concerns, wooden pallets have a bad high score. As you can understand, wooden pallets can have sharp edges, splinters, and rusty nails. They are all safety concerns. However, plastic pallets do not come with such safety concerns. The use of pallets increased because of containerization as clean and straight bottoms of containers aid in easy pallet movement. Since pallets help in easy movement and loading and unloading of shipping containers, every year half a billion new pallets are made. There are over 2 billion pallets in use in the US at present. Pallets can carry a load of about 1000kg and can be easily hauled by a forklift truck. 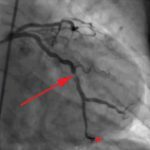 What is the difference between Pallet and Skid? Pallet and skid are used to refer to a platform that supports goods in a stable manner while they are being loaded or transported through a jack or a forklift. • A skid is a single deck loading platform. It does not have a bottom deck. • A pallet, unlike a skid, has both a top and bottom deck. • A pallet is more stable than a skid. • Pallets are more in demand than skids. • Pallets are more popular because of the double deck. As you can see, the double deck allows the forklift to get a good grip on the pallet. That way, the items on the pallet can be transported without trouble. However, when it comes to a skid, due to the lack of a bottom deck this is not possible. Surely, it is useful when hauling something, but it is not as easy and safe as transporting goods on a pallet. Thank you. I just started working at a new facility and warehouse and this answered my question perfectly.